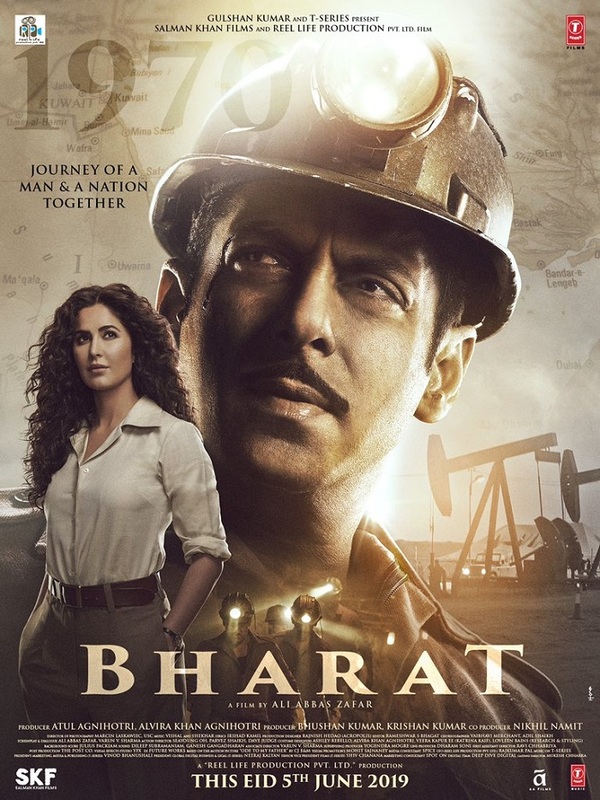 Presenting much awaited 'Bharat' Third Poster featuring Salman Khan and Katrina Kaif. Film is easily one of the most awaited film of the year. Film is directed by Ali Abbas Zafar who earlier directed Salman in mega hits Sultan and Tiger Zinda Hai. Bharat trailer is ready and all set to release on 24th April, 2019. Film is slated to release on 5th June, 2019 on occasion of EID festive time. Expectation from film is colossal and there is no doubt that film will take record breaking start at box office. Apart from Salman and Katrina, film also stars Disha Patani, Sunil Grover, Nora Fatehi, Tabu and Jackie Shroff. Hope 300+ crore this Eid.